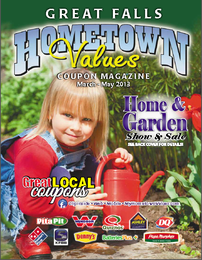 ​"Coupons have the effect of expanding or increasing your market area. 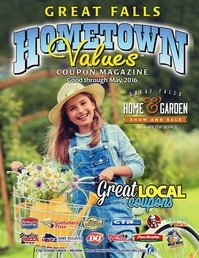 We know that consumers will travel far to redeem a valuable coupon!" 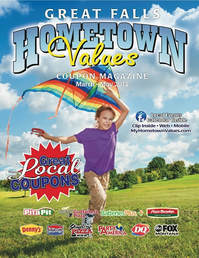 Great Businesses with Great Savings right here in Great Falls! 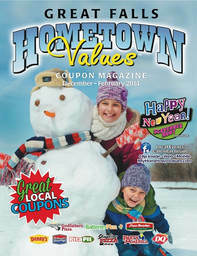 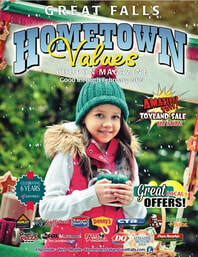 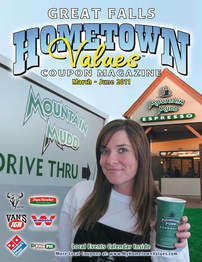 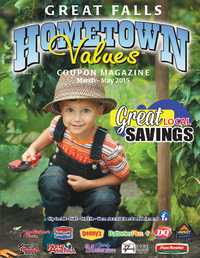 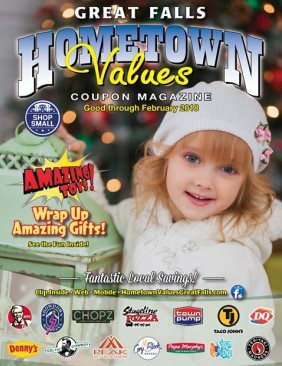 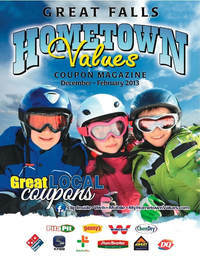 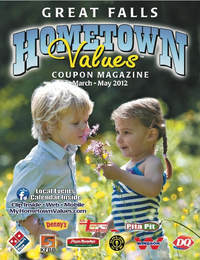 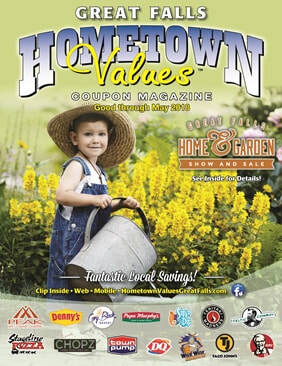 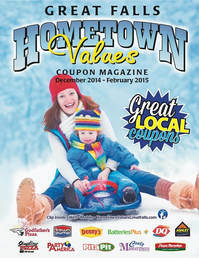 At Great Falls Hometown Values, we pride ourselves on creating effective ads in print media. 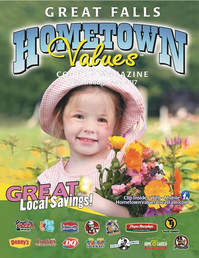 While we know that the current trend toward online marketing has changed the landscape of how print media functions, we also know that print and direct mail still remain powerful marketing tools. 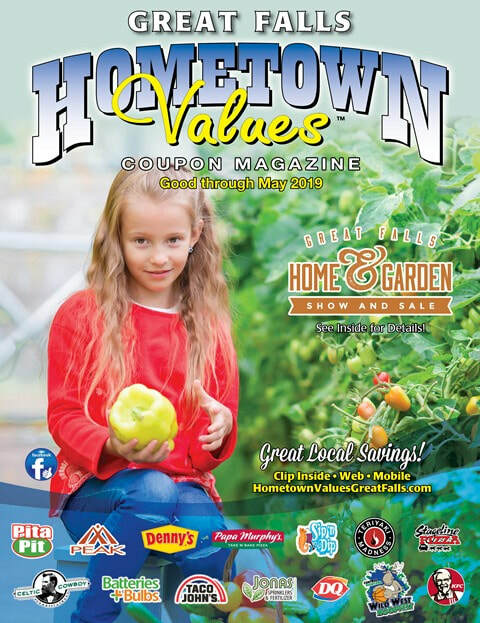 Our services help businesses succeed in their entrepreneurial endeavors by creating print media strategies that are effectual and successful, and you can be a part of that! 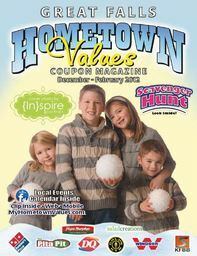 Contact us for additional information on creating print media for your business! 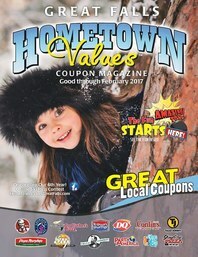 We Direct Mail and deliver quarterly to over 35,000 households in Great Falls and surrounding areas.